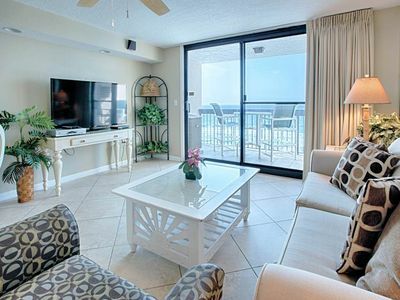 NEED A PLACE TO STAY FOR EASTER? Book today for a 10% discount for April/2019! 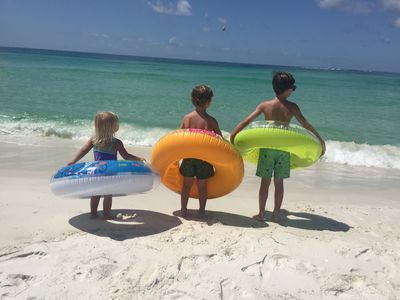 Ready to book your 2019 family vacation in Destin!! If so, you chose the right place! You are only steps away from the most beautiful sugar white beaches in the world! And the Aegean is so very “family oriented”!!! This unit at the Aegean was our family summer home for many, many years! 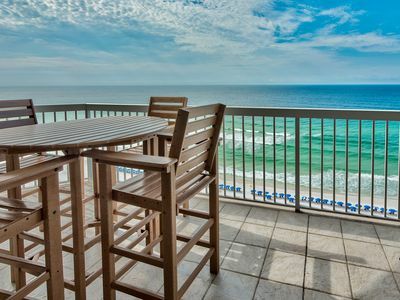 The Aegean has the most beachfront area per unit in all of Destin. 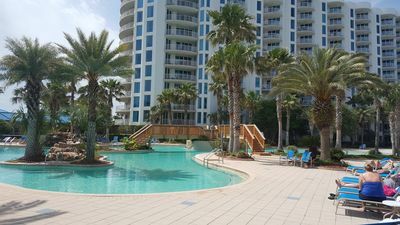 It is a great place for beach fun and relaxation! 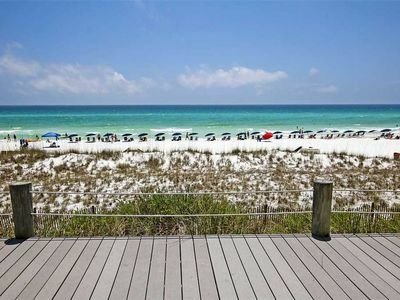 Once you stay here, you will understand why we love the Aegean and this area of Destin! 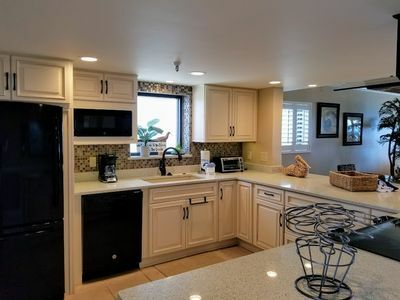 This spacious, recently remodeled 1800 square feet condo has 3 levels. 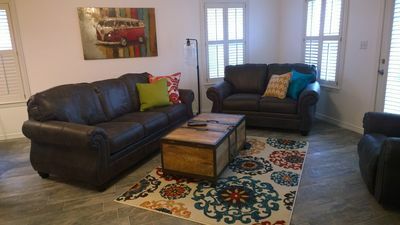 The first floor has a large kitchen with granite counters, dining room, and den area with a 55" flat screen TV and DVD/VCR. Kitchen seats 10 people. 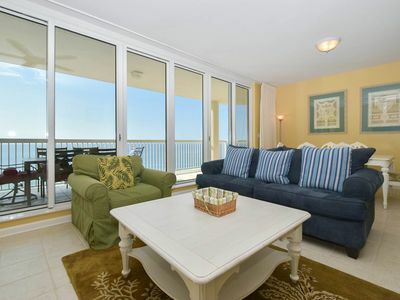 There is a large balcony with table and chairs for a relaxing view of the sunset and the beach. 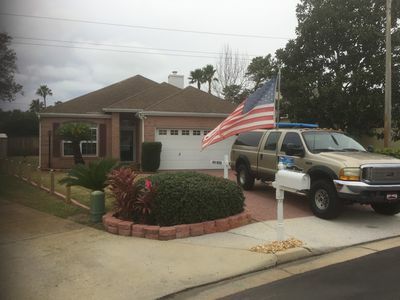 The second floor has 2 bedrooms. 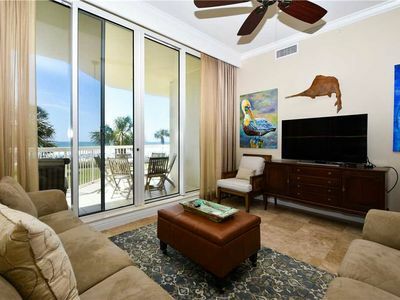 The master bedroom has a king-size bed and a separate balcony with a beautiful view of the pool and partial beach view. The master bathroom has a large tub and separate shower area. The second bedroom has a queen size bed and its own bathroom with a tub. The washer and dryer are located on the second floor. 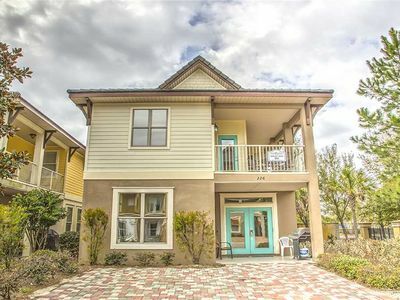 The 3rd floor is a large loft bedroom just perfect for the kids! It has a queen size bed and 2 sleeper twin size daybeds with pull out trundles. The bathroom on the third floor has a shower. Each bedroom has its own tv and nice size closets. 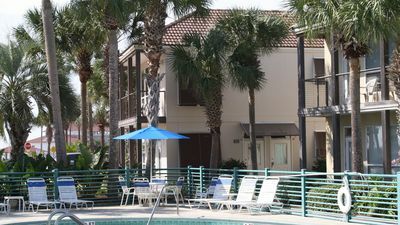 The Aegean has tennis courts, swimming pool, shuffle board court and a large gazebo. And the gazebo is great for barbecuing for a group and having small gatherings of friends for an evening party. 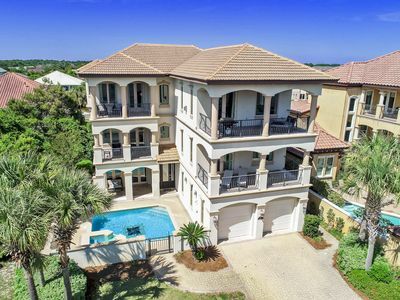 Holiday Isle is a peninsula surrounded by the Gulf of Mexico and Destin Harbor. 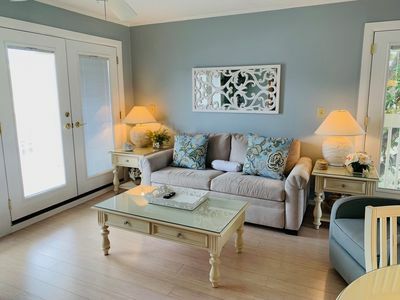 It is removed from the major thoroughfare traffic, but just minutes from some of the best restaurants, shopping, water parks, amusement parks, boat docks, fishing, golf, and a host of other amenities. The Jetties is walking distance from the Aegean and is an excellent diving area. 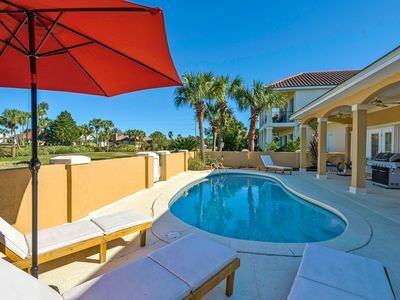 Call now and book your vacation early! Summer is a popular time for the beach, but spring and fall are the most relaxing times for a great get away. 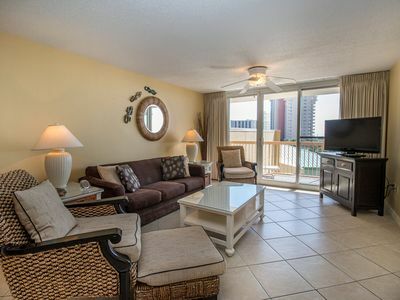 SunDestin 1204 - Book your spring getaway! 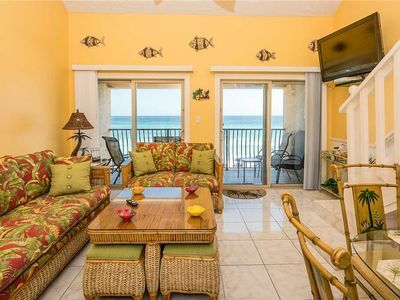 MIA - Villages of Crystal Beach! Massive Community Pool! Hot Tub! Beach Tram! 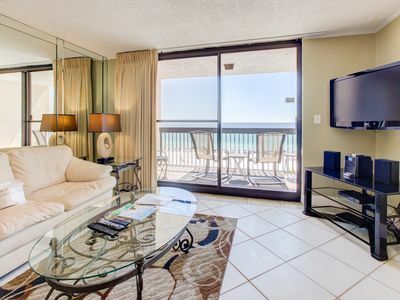 Beachfront Condo: Great Views. Steps from Sand! Free Beach Service Included! 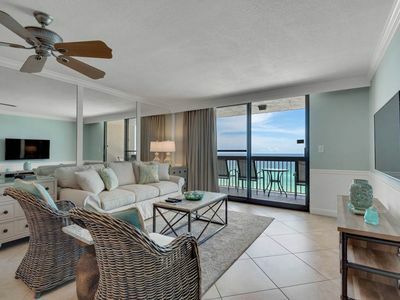 "Breakers East~Gulf Front 2BR/2BA Remodeled End Unit~Beach Setup Included! 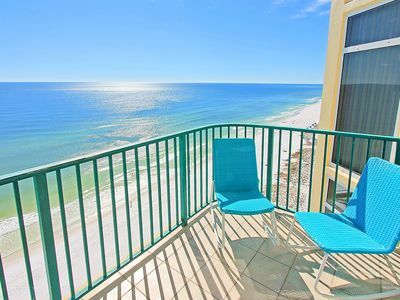 SunDestin 0903 - Book your spring getaway!